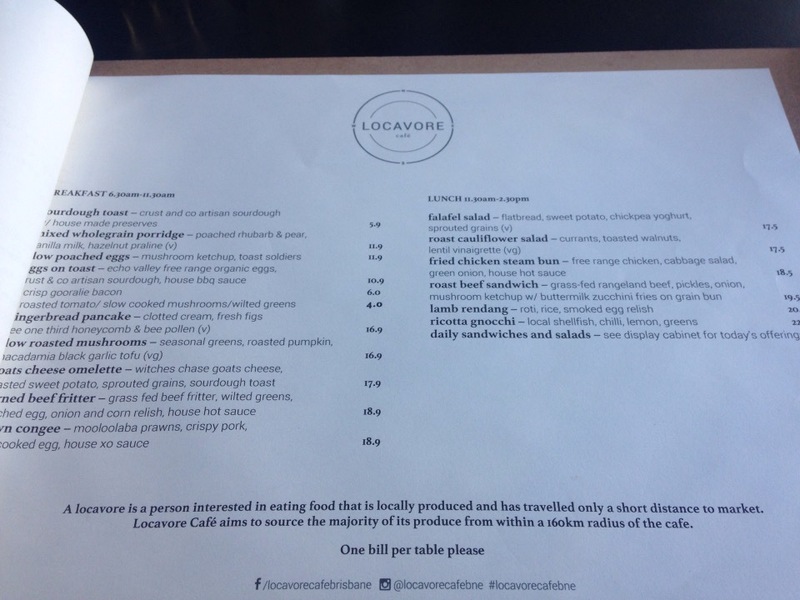 Locavore Cafe - A locavore is someone interested in eating food that has travelled only a short distance from market. Locavore Cafe makes it a priority to source the majority of their food from within a 160km radius. 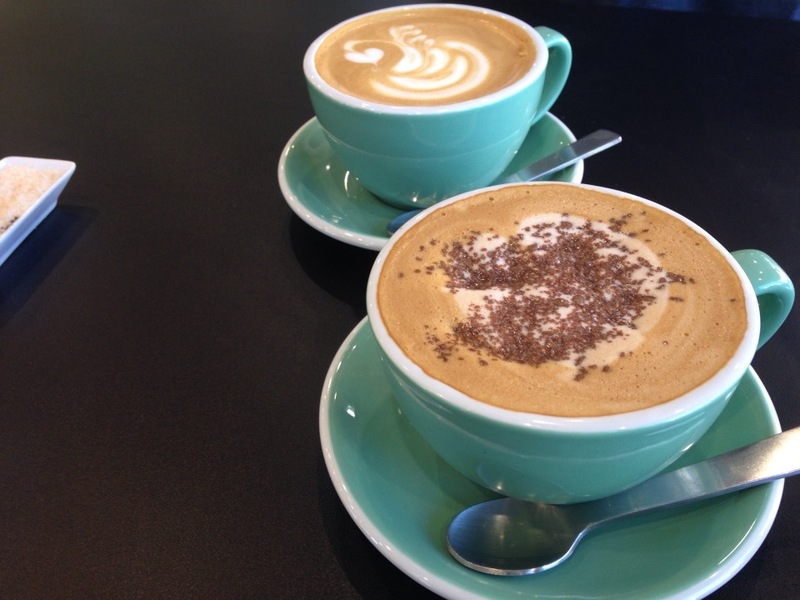 Another new café in Brisbane, and even though I was determined to get there before all the other Brisbane bloggers to write this article, schedules and paycheques proved otherwise. A week or so after opening and you can convince yourself they've been operating for years, with a smooth operating kitchen and a exciting curated menu. 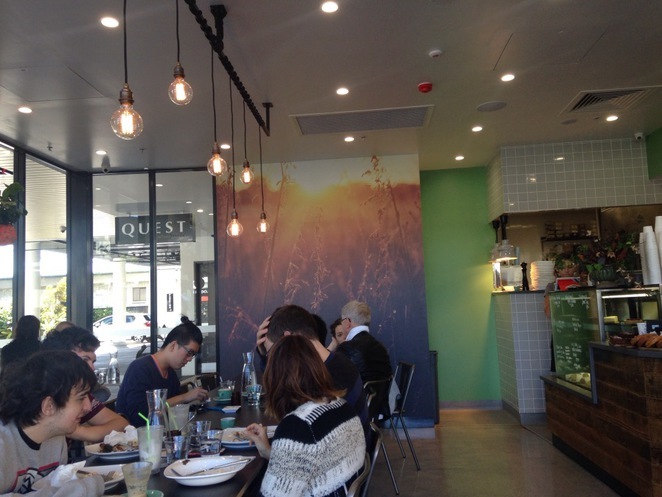 Located in the new Quest Serviced Apartment building along Woolloongabba's Logan Road, there's been much said about Locavore's commitment to source all their ingredients within a 160km radius from Brisbane. What that means is an emphasis on sourcing cheeses, produce and meats from local suppliers and a focus on fresh and in-season foods, making a point to also choose ethical and sustainable suppliers. Such suppliers include Byron Bay's Marvel Street Coffee, Tamborine Mountain's Witches Chase Cheese, and Wilston's Crust and Co. artisan breads. Probably the biggest takeaway from Locavore was the quality of the ingredients. With the two dishes we tried we could really notice the ingredients stood on their own two feet, and there was not too much engineering, seasoning or sauce lathering to enhance flavours. 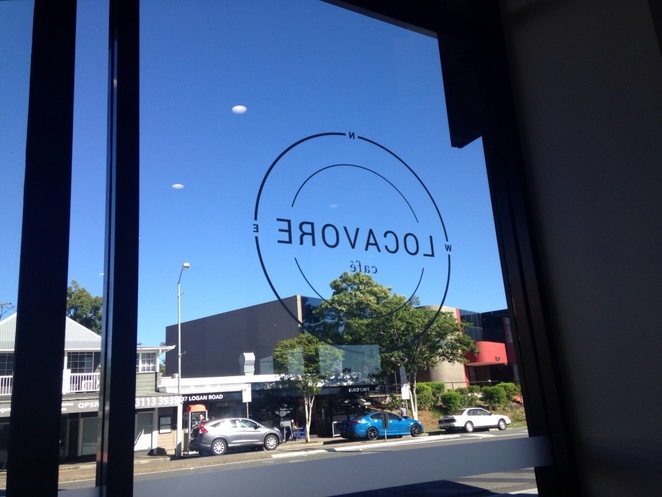 Locavore is not trying to claim raw or superfood credentials like other newly opened established, however their decision to only use the freshest local ingredients means they hold off on the additives, and let the flavours shine though. My Gingerbread pancakes, despite their decadent name, were actually the most natural tasting pancakes I've had. The gingerbread taste was extremely subtle, and personally I'd have liked a more ginger biscuit taste. I"ll also admit that when it comes to breakfasts, I'd rather the subtle instead of the overpowering. Unlike other pancakes, these weren't drowned in butter, maple syrup or sprinkled with sugar, with sweetness coming from of authentic hexagonal honeycomb, and was something that was refreshing in and of itself. My partner's Goat's cheese omelette was also a lesson in quality ingredients, without being laden with cheese, cream and other naughty no-no's. 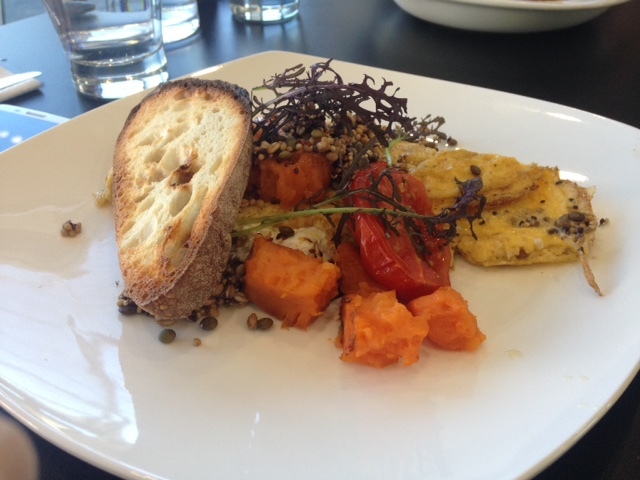 The roasted sweet potato and sprouted grains was an innovative take on a breakfast staple, being a substantial and filling menu option. It was clear they'd burned the sourdough toast, with the underside conspicuously charred. While not a major deal, it was bread that definitely had too much crunch for our brunch. Meals aside, I've yet to talk bean. Locavore's coffee really stands out. Perhaps my fetish of nice coffee cups was being indulged as the pretty turquoise blue cups were presented to our table. It was definitely being served in a larger mug that approved of. Who needs those pint sized latte glasses anymore? 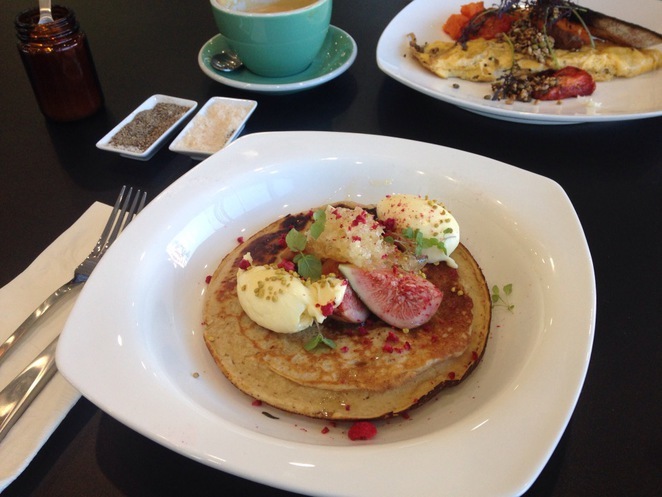 It must have been sweet-toothed Saturday, since I ordered the Mocha to complement my pancakes, however my #sugaroverload would have to wait for another day and I'm glad for it. No fake tasting chocolate syrup flavours used here, just authentic chocolate shavings melted into the robust brew and sprinkled on top the thick crema. Tick, tick, tick. 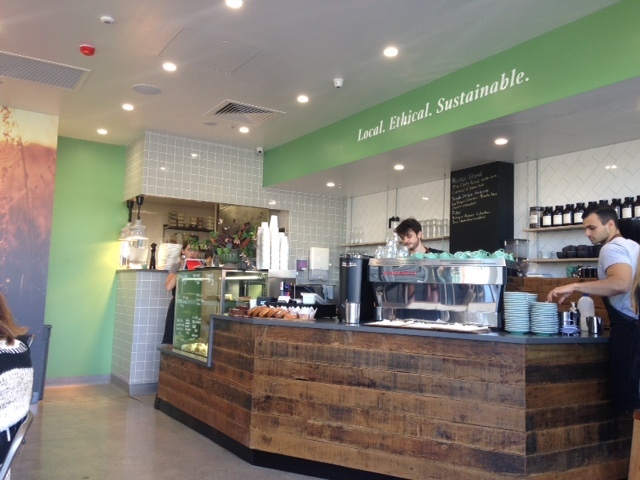 In a city with what seems like weekly new café openings, Locavore is definitely a welcome addition. It's only very small, but it's modest menu and sophisticated yet uncontrived interior, the place feels welcoming and down to earth despite their 'hot new thang' status. Also a big shout out to the friendly staff who all seem to know the basic tenets of good hospitality, anticipating our request to sit out of the wind when a table became available inside. Great chats were also had with the barista guy when I went up to pay. Nice folk, nice food and a nice place to go. Highly recommended. Why? 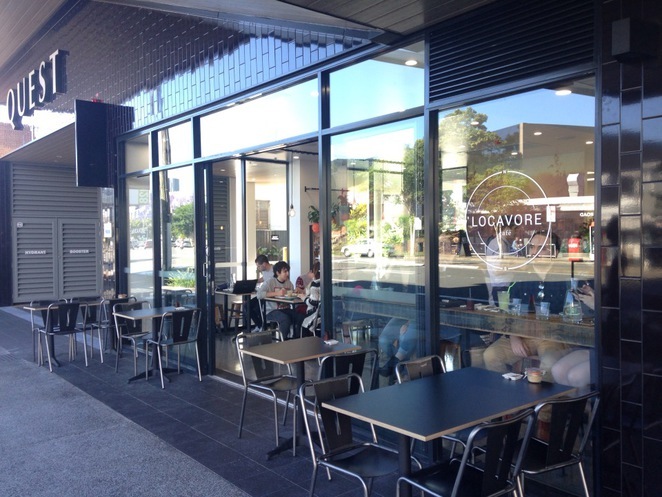 Locavore is a cafe focused on showcasing local, sustainable, ethically sourced produce from the SEQ region. Looks amazing, thanks for the article. I can't wait to try it!